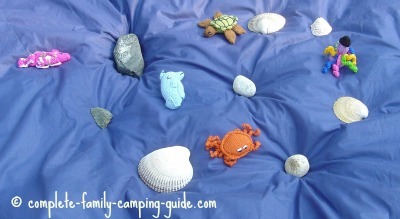 Silly songs are perfect for setting the mood around the campfire. Soon everyone will be giggling, and no one will remember about being too shy to sing! I love this song! I learned it at camp when I was a child, I sang it when I was a camp counselor myself, I taught it to my students when I was a teacher, and I taught it to my own children. It's a perfect campfire song because there is not much to learn. You'll be able to pick up the words quickly, but the song goes on for a long time. Challenge the bigger kids and the adults to sing the entire song with no mistakes. It's not easy! See how fast you can sing it! Write your own silly songs based on this one. How about "There's A Tent In The Middle Of The Campsite"? Children love this song, because it's so silly! Giddy and foolish all day long. The hose he slipped and fell on the flea. Eli, Eli, he sells socks. Five cents a pair and a dollar a box. The longer you wear ‘em, the shorter they get. You put ‘em in the water and they don’t get wet! By the time you've finished singing these silly songs, you'll all be laughing - and hungry! It might be a good time to make some Smores! Now that you know these silly songs, click here to find more campfire songs. 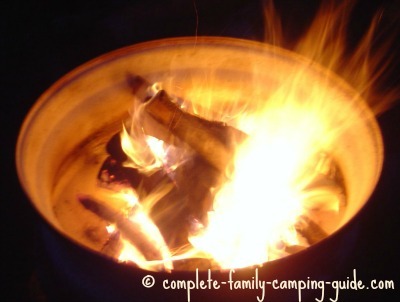 The Complete Family Camping Guide home page will lead you to everything you need to know about planning your next camping trip.